Previously, “Google” maps was the only option available that could be integrated with JobRoller. 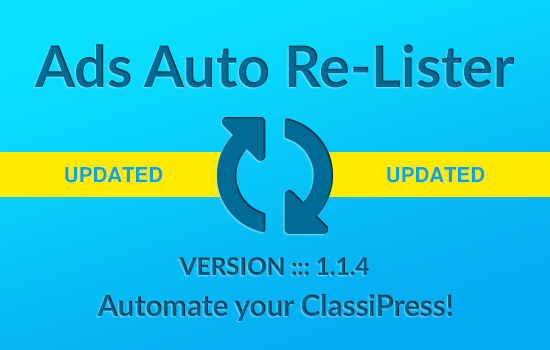 After feedback from our valued customers and the recent cost associated with Google maps, the App Themes team has worked on adding additional Geo Services to ClassiPress, Vantage and JobRoller. Each Geo Service is available as an addon extension. This allows you to set up maps on your JobRoller site with a Geo Service of your choosing. Geo Services can be found within their own menu as of JobRoller version 1.9.0. 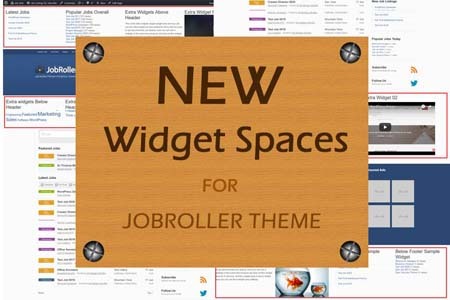 Click on the JobRoller menu in your WordPress dashboard and then on the Geo Services menu. Choose your Geocoder Provider from the drop-down menu. The options, other than Google will relate to the Geo Service Plugins you have. 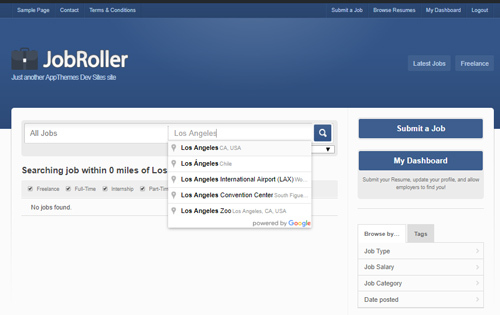 It is here that you can also choose to Disable a geocoder on your JobRoller website. Choose a Maps Provider. The options available will be the direct result of the addons you have on your site. You can also choose to Disable maps on your JobRoller site if you wish to. 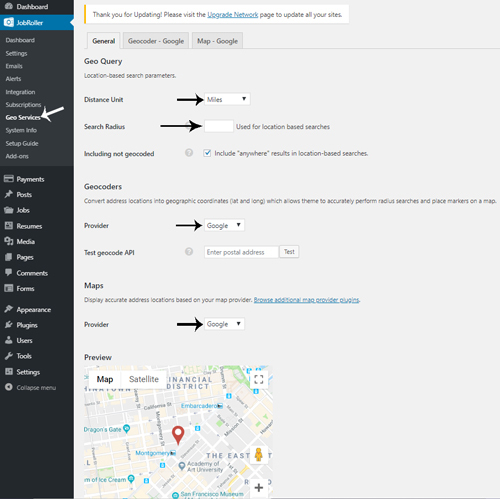 If you decide to use Google as the Geocoder and maps provider of your JobRoller website, the following section will help you to set it up correctly. Enter in your Google Maps API Key. 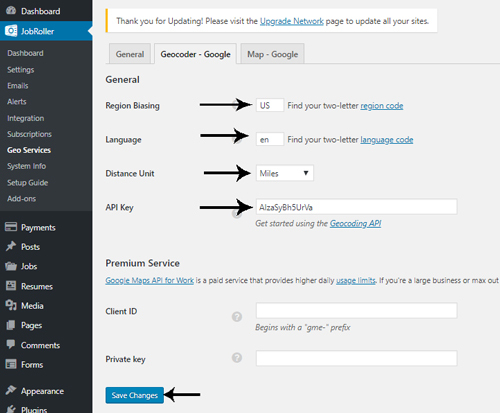 You can read further information on setting up your Google API Keys here. Installed Geocoder Providers: This option determines which “Geocoder” will be used for the AppTheme. A geocoder takes a given address and converts it to geographic coordinates. All available installed geocoders will be listed in the “Providers” drop down box. Google is the default provided with the theme and the only option available without the addition of an Appmaps plugin. The location option is shown in the single job and job submit form. Need help setting up your Google Maps API details for JobRoller? See our related documentation here.